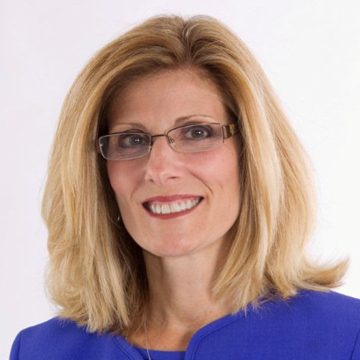 Kristin M. Corrado is a life-long resident of the Borough of Totowa and attended St. James School in Totowa and Paul VI High School in Clifton. She is a graduate of East Stroudsburg University and Seton Hall Law School. She has been an attorney for more than 25 years and is admitted to practice law in New Jersey and Florida. After graduating from Seton Hall, Kristin served as a law clerk to the Honorable Amos Saunders, Presiding Chancery Judge in the Superior Court of New Jersey, Passaic Vicinage. She then served as an Assistant Counsel to Governor James Florio working in the Authorities Unit. Kristin also worked at the North Jersey District Water Supply Commission in Wanaque as the Purchasing Agent and Contract Administrator before entering private practice. Kristin is a partner in the law firm of Corrado & Corrado, Esqs., with her father, Robert E. Corrado. They have a general practice family firm specializing in real estate and probate transactions. She represented the Borough of Totowa as their municipal attorney for 10 years before becoming the Passaic County Clerk. Kristin was first elected County Clerk in November of 2009, and re-elected in 2014. She has served as a member of the Supreme Court’s District Fee Arbitration Committee and is a member of the Passaic County Bar Association. Kristin served as the COANJ Section Chief for Clerks and Registers in 2012. As the Passaic County Clerk, Kristin opened a satellite office in Wanaque and expanded their Outreach Program for passports and notary services throughout the county by establishing a set monthly calendar for these services with night and Saturday hours. She expanded services and hours at no additional cost to the taxpayers of Passaic County. In 2016, In-Person Early Voting was offered at the Wanaque satellite office for the first time in the county’s history. Residents now have the convenience of voting early and in person at both offices in all elections. Kristin partnered with the county’s Department of Veterans’ Affairs to bring back the Veterans ID Program. She established the Passaic County Veteran’s Discount List by working with local businesses to provide discounts to veterans and their families. Together with John Harris, the county’s Service Officer, and David Pearson, Assistant Director of Veteran Services, Supportive Services for Veterans and Families (SSVF) Catholic Family and Community Services, they hosted benefits and educational seminars and created a resource manual for Passaic County’s veterans. Kristin served on the Passaic County Military Appreciation Committee, which honors and celebrates members of the military, past and presently serving, and their families. She was responsible for creating a keepsake book for the Gold Star and Blue Star Mothers the Committee honors each year as part of an annual celebration and remembrance of their children that have served and sacrificed so much for our country. As the County Clerk, she sponsored toy drives for the Passaic Vicinage National Adoption Day Celebration and partnered with Blue Star Mothers to collect necessities for our soldiers currently serving overseas and in Military Hospitals. Kristin recently established the ‘Socks For Soldiers’ Program to collect and provide necessities for soldiers and homeless veterans. Kristin performed 1,500 wedding ceremonies as the County Clerk. Kristin is also a proud member of the Do Good Student Support Group which is dedicated to giving scholarships to deserving students that are in need of financial assistance. Kristin coached softball for the youth division of the Totowa PAL softball program for 13 years. She also spent numerous hours volunteering her time in the Snack Shack for the Totowa PAL Football Program and working at the annual PV Junior Hornets Wrestling tournaments. Kristin is the daughter of Bob and Eileen Corrado of Totowa. She is the second of seven children, with sisters and two brothers. She is married to Stan Alcala and is step-Mom to Danny, Matt and Nicole. Kristin and Stan are grandparents to Mia and Valentina Alcala.